Welcome to the October countdown for Papertrey Ink! Today I get to show you a new stamp set and dies called What the Doodle: Snowflakes, which will be available for purchase October 15th at 10pm EST. First, I've used the stamps only on this card set. I love the pretty detail on these stamps! I've also used the One Liners dies for the sentiments. 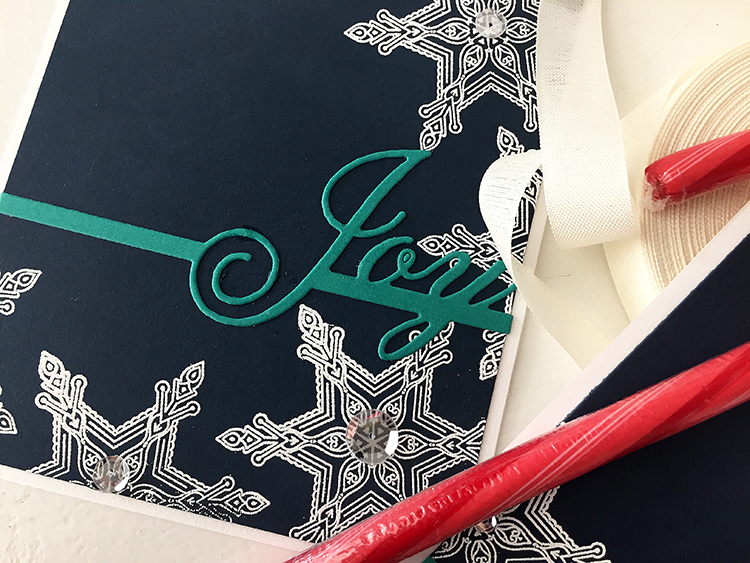 White embossing powder was used on the Dark Indigo cardstock, then I and added sequins in the centers and the One Liners over the top. 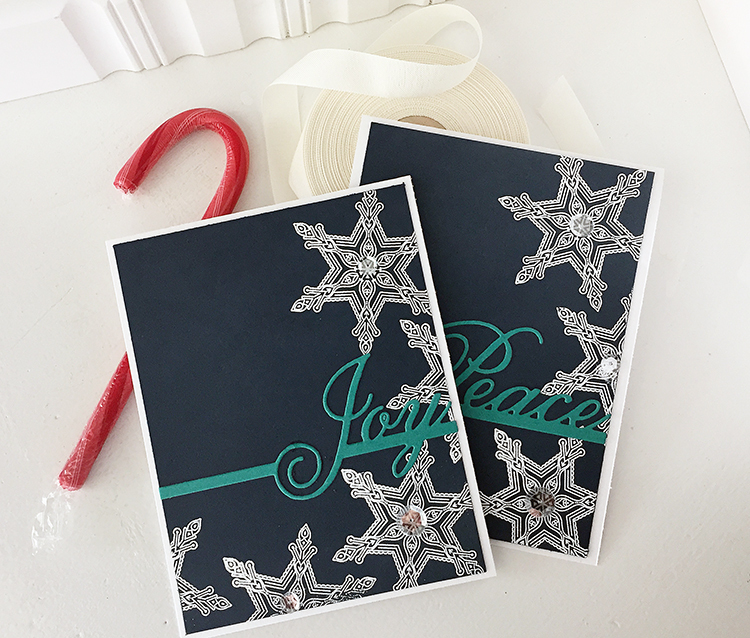 On the next card, I used both the stamps and dies and layered them all together to make a pretty layered snowflake. 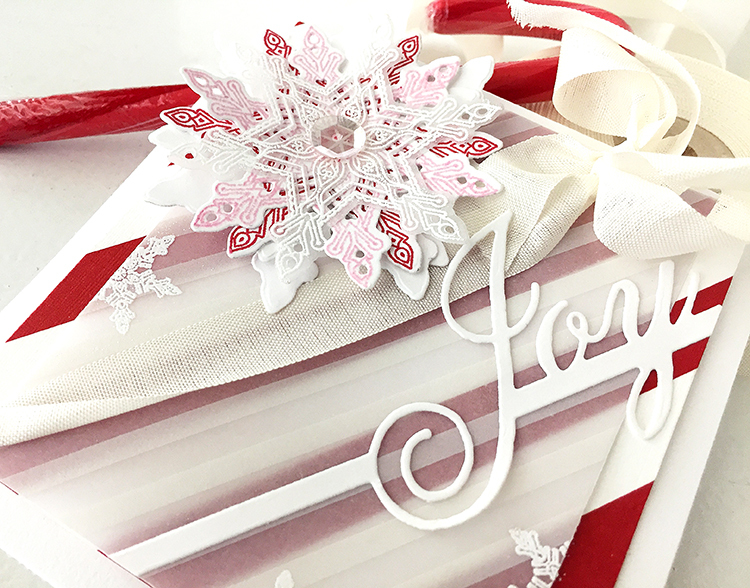 The Pure Poppy + White striped patterned paper was covered with a stripe vellum from the Sheer Basics Vellum pack. To get the seam binding to stay on a diagonal, I punched half holes at the top and bottom of the card, this way the seam binding stays where I want it. The One Liners were used again for the "joy" and stamped some of the doodle snowflakes on the vellum, then embossed them. I love how they look in white on the vellum. 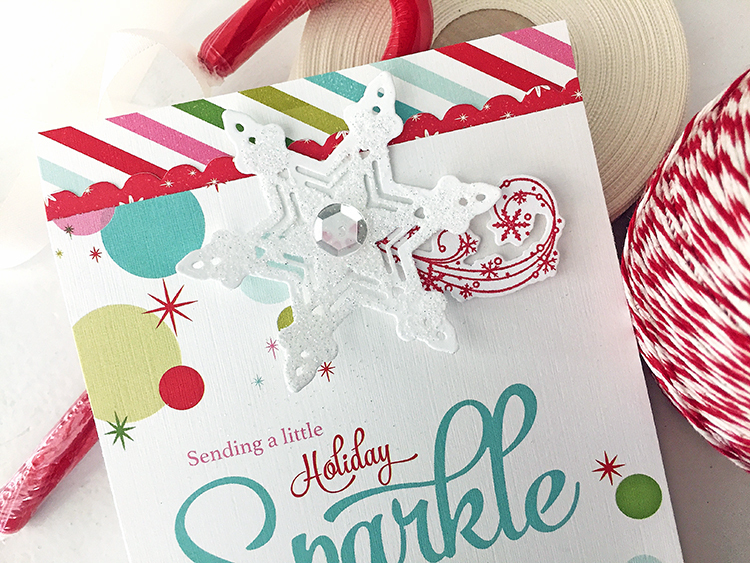 Next, I just used the What the Doodle: Snowflake dies and just added some glitter to it, then added it to a Sparkle & Shine patterned paper. Between the patterned papers, I used the Heart Border dies upside down as a scallop. The red adds a bit of punch between the two lighter papers. 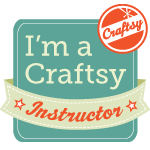 Visit Nichole Heady's blog to see more sneak peeks! Beautiful cards, love the Doodle snowflakes! What happy, heartwarming cards! just love 'em!! 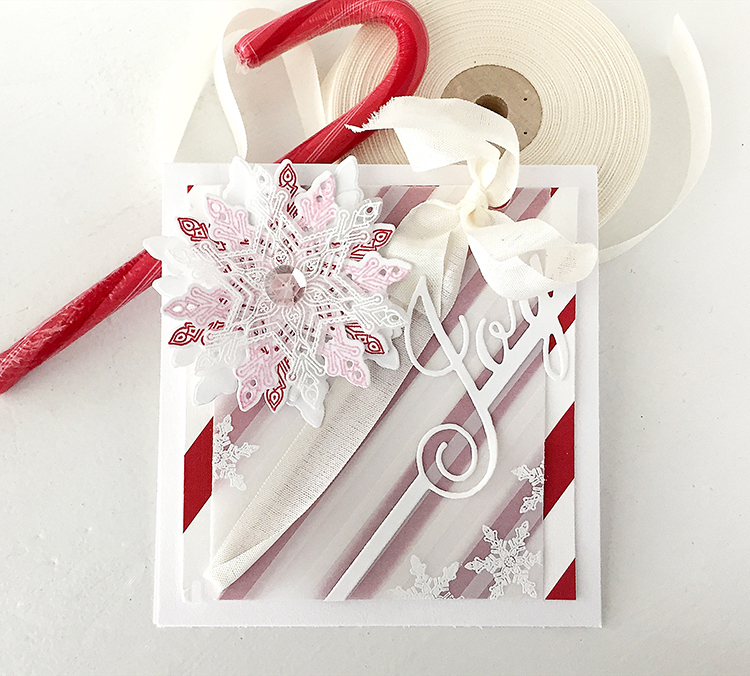 Love the gorgeous layers of snowflakes on these cards! Your layered snowflake is so lovely!! One liners were my first ever Papertrey Dies just over a year ago. 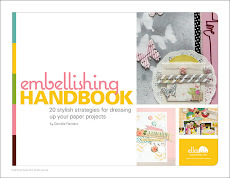 I love how you used them here --Gorgeous projects, Danielle! Just love your use of the snowflakes and the one-liners. Great cards! Absolutely beautiful!!! Each part of the release is once again amazing!!! These are gorgeous projects, Danielle. 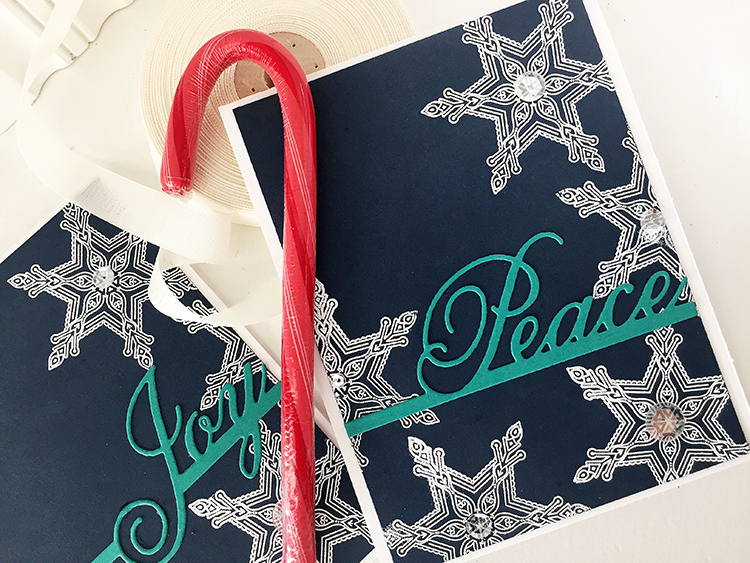 I love how each one uses the snowflakes differently formats stamping to the beautiful soft layers. Amazing! You come up with the best designs, Danielle! You've made me move the snowflakes to the top of my must have list! Love these beautiful cards! Gorgeous snowflakes!!! These are all gorgeous, Danielle! The blue cards are so beautifully simple. Great for quick multiple cards. The snowflakes are so pretty. My favorite is the elegant card on the vellum with the die at an angle. 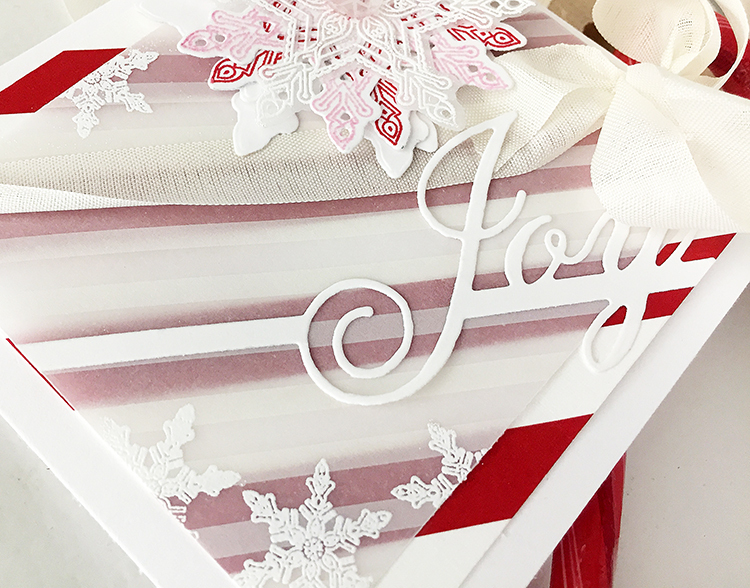 The snowflake on your JOY card is beautiful...wonderful layout. Applause, applause! Loving each and every card today, Dani! 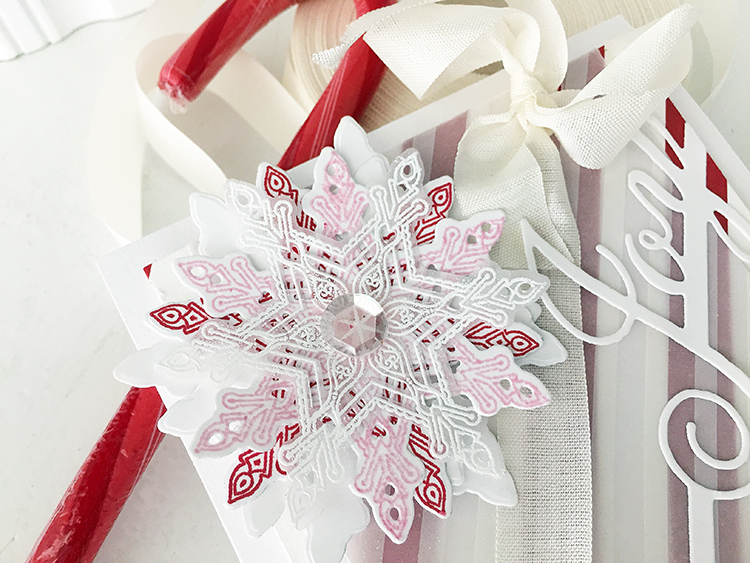 Triple die cut snowflake is magical. Can't wait to have this set!!! Danielle, these projects are all beautiful. I especially love the white on the Dark Indigo. Oh my goodness. Gorgeous post, Danielle. Could not choose a favourite but I must say I love your diagonal card is just lovely - so fresh and unique.